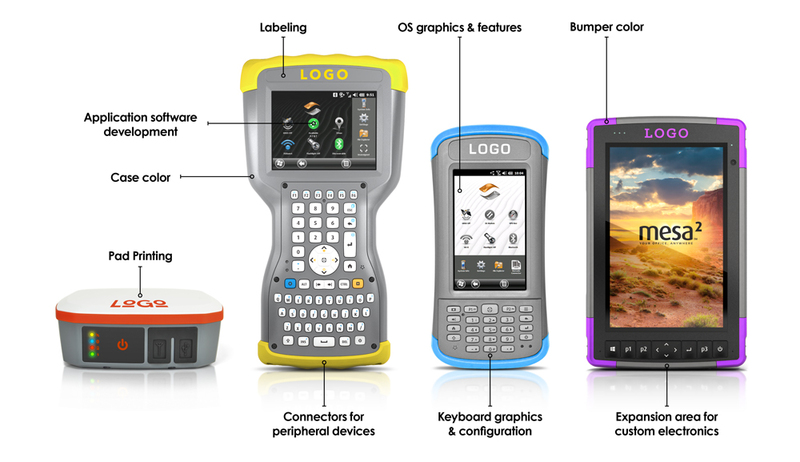 Our line of rugged handhelds, tablets, and GPS receivers have several identities. Because Juniper Systems provides OEM and reselling partners with the opportunity to customize products, each can be designed to meet the unique needs of the partner. As a company that understands the importance of partner success, we have a passion for customer service. This drives our desire to thoroughly understand customer needs and help partners build up their own brands through customization opportunities. By designing and manufacturing all Juniper products under one roof in the United States, we are able to work closely with partners to discuss individual needs and customize products on a variety of levels. We provide the opportunity to customize at the lowest volumes and for the least expense in the market, making Juniper Systems the ideal partner for any customization project. We’ve separated our customization opportunities into three levels to provide clarity on the depth of customization options Juniper Systems has to offer. These three levels also allow us to categorize the needs of each partner and plan accordingly. Our level one customization option focuses on OEMs and resellers wanting to build their brand through a reliable line of products. Options within level one customization include product branding, custom-branded packaging, partner-specific part numbers and product configurations, and selectable accessories. User documentation can be provided for brand customization and inclusion of partner-related solutions. Juniper Systems and Carlson Software have been proud partners since 2002. Pictured is the Carlson Surveyor2. Unique to Juniper Systems, our products are designed from the ground up for third-party development and integration. We proudly work with our partners to integrate custom components, circuity, and more. Our hardware designs include mechanical and electrical interfaces capable of adapting to a wide range of component interfaces, including UART, I2C and SPI. In addition, our products are designed with expansion areas for component or module integration, including a wide range of flexibility in mechanical housings. These housings can be adapted, if needed, for additional components to fit each individual need. Our mechanical teams use the latest flexible design principles to generate prototypes in rapid fashion using in-house 3D printing and other fabrication techniques. Software development opportunities are also available. We work with partners to develop sensor drivers, operating system interfaces, and low-level machine code for discrete functions. 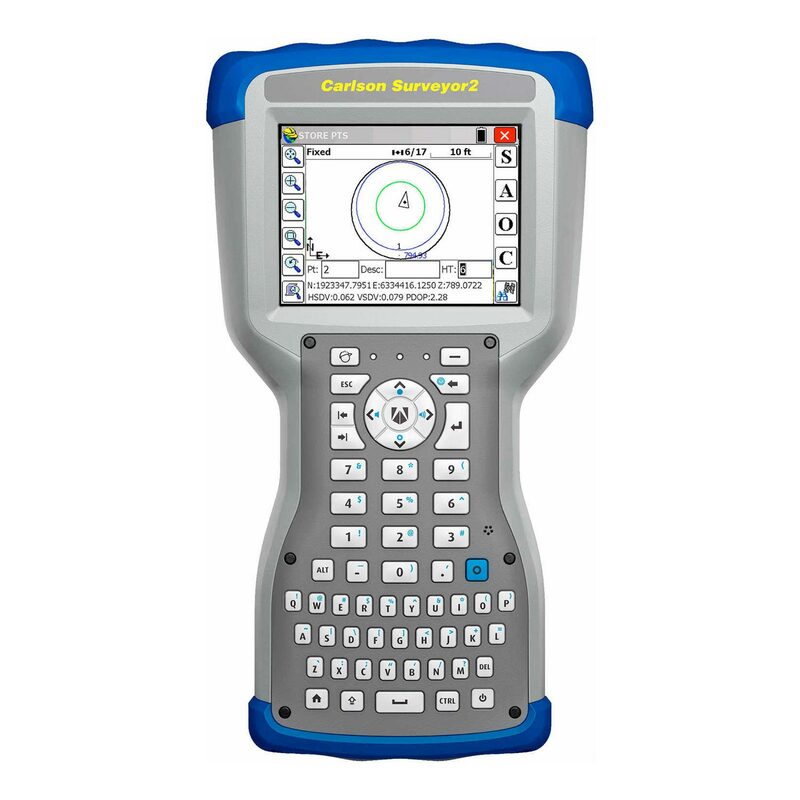 Working with independent qualified test houses, entire systems can be tested to the highest level of quality for approvals in any market or region. We’re extremely proud to offer full original design manufacturer (ODM) services. While other rugged handheld or tablet providers advertise full customization, they are often referring to brand customization and don’t always have the resources available to back the promise of a full customization. At Juniper, we are willing to gather our team of experts to listen to the unmet needs of your organization and find a solution that fits each unique need. We are experienced in developing complete product designs unique to customer needs. When opportunity is right for both partners, we are fully invested in working with partners to develop quality products. This capability includes the mechanical, electrical, and software design, as well as the design for manufacturing, service, and support and documentation for end-to-end service from our manufacturing facility in Logan, UT. Why Customize with Juniper Systems? At Juniper Systems, we do everything we can to make the customization process smooth and efficient. Like mentioned, we operate almost entirely in the United States, making it easy to collaborate with our full team to pinpoint the exact needs of our customization partners. We also practice flexible relationships with our partners. This ultimately means there is no obligation to do all aspects of customization with us. We respect our partners and have a sincere desire for them to do achieve success with their products. Ultimately, the sky is the limit. We’re proud of the talent and resources we have at Juniper Systems and look forward to building lasting relationships with anyone looking for a simple way to build or customize our products. Let’s talk! Contact us here. As the product marketing specialist at Juniper Systems, Sarah enjoys seeking out interesting topics to write about in the world of mobile field computing technology. Her free time is spent running, reading, and spending time with her family.